Kanebo's Freshel Cleansing Oil is the sole product I've ever tried from the brand. 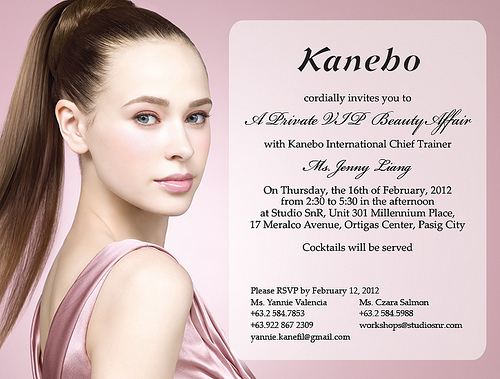 I'd love to check out their foundations and liners and their VIP Private Beauty Affair happening on the 16th is the perfect time to do it. The invite is just too heartbreaking to pass up on. Please refer to Studio SNR's blog for deets on how to score passes for the event. If you are going, please comment back on this post that you are :) I'd love to meet you!